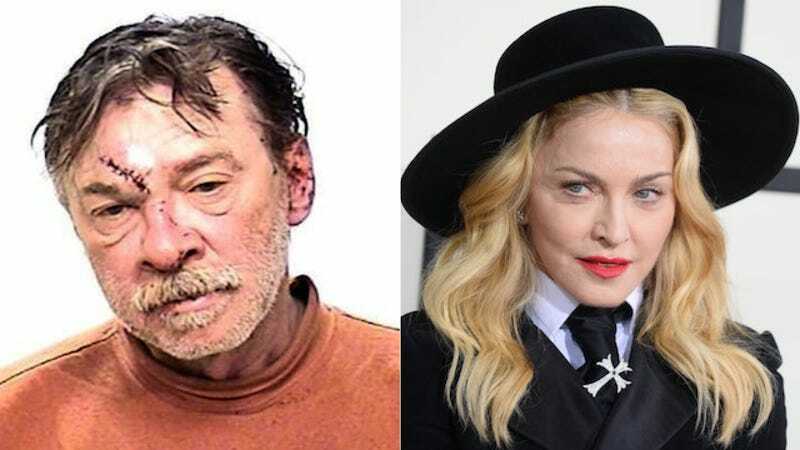 Anthony Ciccone, one of Madonna's six siblings, has reportedly been destitute and living homeless for years. Sources say that majority of his brothers and sisters have now given up after years of trying to get him on his feet. "The truth is [Madonna] doesn't care if I'm dead. I doubt she'd even recognize me," he told The National ENQUIRER. Family members recently met at Tony's vineyard near Traverse City to discuss how they could help. But when Anthony showed up drunk, Mario insisted on kicking him out. "Sadly, the relationships appear to be beyond repair," a source told The National ENQUIRER. "Madonna and [her brother] Mario are done with Anthony forever. They don't think he deserves any more chances." But their sister Paula, who helped Anthony escape from living under a bridge in Traverse City after a fellow vagrant was murdered over a bottle of booze, is deeply troubled by their refusal to do whatever they can, said the source. "The ironic thing is my family thinks I chose this lifestyle," Anthony responded. "It's not the case." Madonna famously left Michigan in 1978 (with only $35 in her pocket) to pursue dance in New York City. She has always had a troubled relationship with her siblings, with Anthony often talking to the press and her brother Christopher publishing a tell-all book about her in 2008. She is now worth an estimated $1 billion.